On Thursday, F&M students and community members had the opportunity to preview the Fall Dance Concert, which will be held Dec. 3, 4 and 5 at 7:30 p.m. in Roschel’s Schnader Theater. 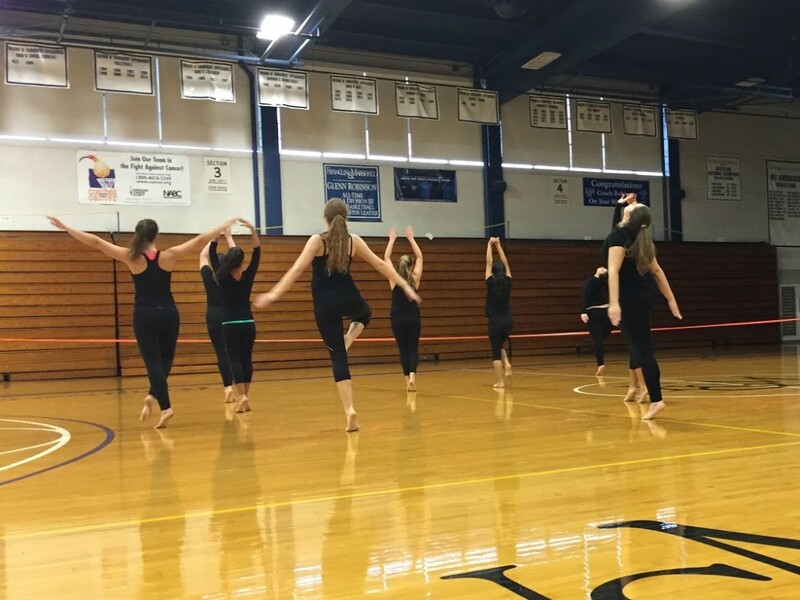 The concert featured students from the F&M Dance Company with a total of seven different performances. At Common Hour, students presented excerpts from three of the dances, and the dancers and choreographers discussed the mystery around art and dance. Associate Professor of Dance Pam Vail spoke about dispelling the myth that there is a specific meaning to grasp from watching dance. Dance is nonverbal communication where the whole body, including the brain, is the place of knowledge and logic. Vail invited the members of the audience to “embody yourself” and to recognize our bodies as expressive and receptive. Dance’s logic is abstract and we should trust that our bodies know how to read moving bodies, Vail explained. In dance, there are genres such as ballet, modern, and jazz, as well as sub-genres like contemporary ballet, postmodern dance, and folk dance. Styles differ among the genres, such as the various different styles of ballet. Dance as an abstraction causes people to have different experiences while viewing the same dance because abstractions speak to us in different ways. The first dance was titled “Botany and Desire,” from which the dancers will only perform five minutes out of the longer piece for the concert. Dancer Charley Hagist ’16 called the dance an “intimate abstraction” and said that “meaning and dance never go hand in hand” in this piece. The dancers were in practice clothing, but for the real show, there will be costumes, slides with video, and special lighting to enhance the performance. The second dance was called “Descent” and was choreographed originally in 2007 by Vail. The costumes for this number, which were not featured in the preview, are designed by Jimmy West. This performance featured a larger group of dancers than the previous one, using complex movements of contemporary ballet. The three dances performed on Thursday were excerpts of longer pieces. Those along with four others will be performed at the Fall Dance Concert this December. First-year Christa Rodriguez is a staff writer. Her email is crodrigu@fandm.edu.